Saturday's Krampus Ball was pretty awesome. 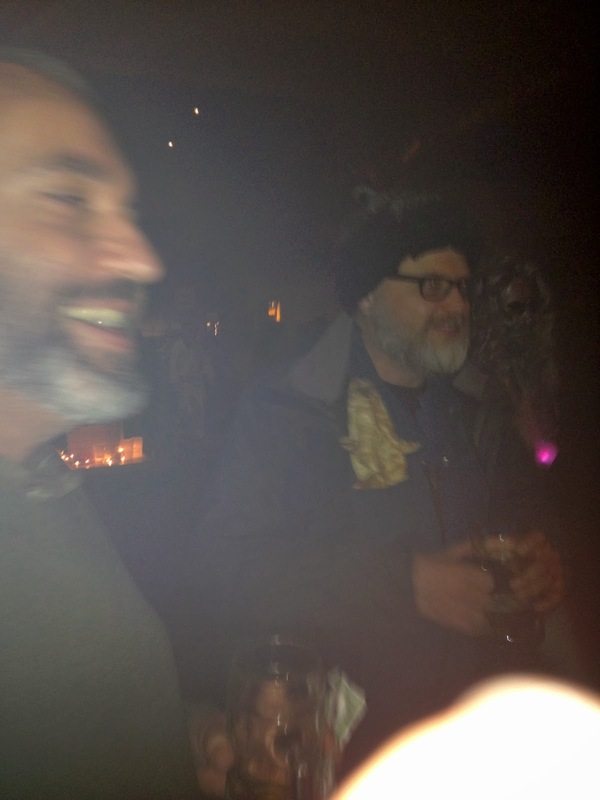 The addition of the a torch-lit march to the afterparty at Woodruff's was pretty awesome. 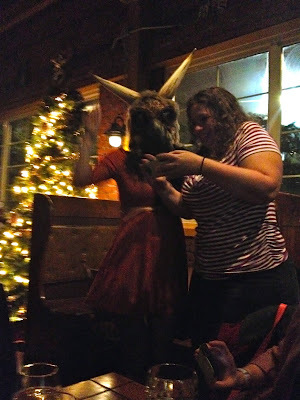 As you would expect from a Krampus themed ball, there were lots of dancing and some pretty great costumes. EJ borrowed this mask from someone. Look at these sinister bacheorette party costumes. One final picture of the torch-lit march.